To access reports, click Scans, then the Health Score percentage for your scan. This number is generated based on a custom algorithm, but does not provide the most detailed information. The other reports listed below provide more information. A comprehensive listing of the statistical results from a scan. 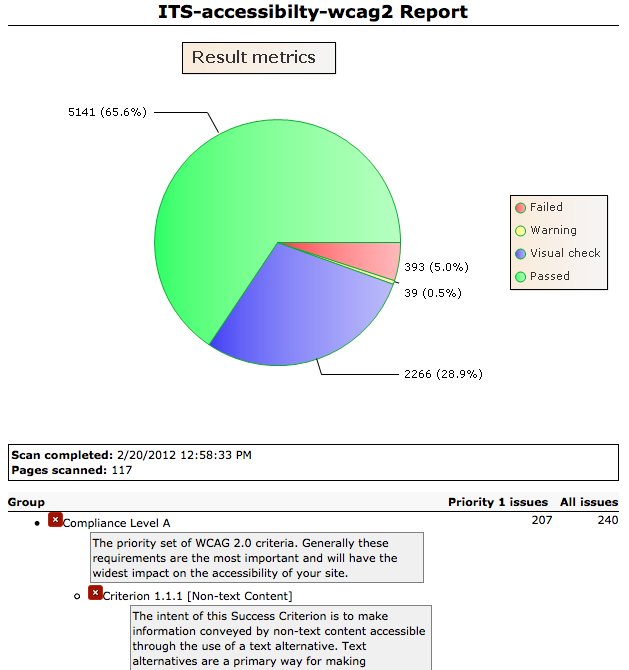 This is useful for obtaining a total number of passes, warnings, and failures. 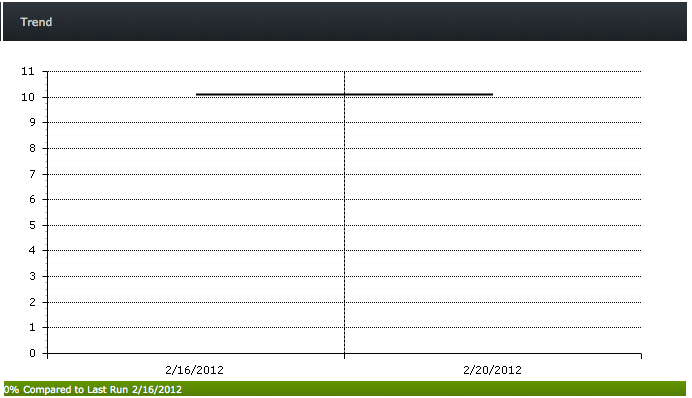 Trends are represented by a line graph showing changes to your website’s health percentage overtime. This list includes the checkpoint failures that occur most frequently across your site. This is a good place to start when you're looking for the top compliance issues your site faces. Number combinations will take you to the checkpoint itself. Description or Occurrences will take you to an overview the checkpoint-related issues found within the code. This list includes the checkpoint failures that occur on the most pages within your site. This is a good place to start if you're looking for the top compliance issues that are affecting your overall Health Percentage. In general, you should not notice any changes listed in this column unless you are revising your results to exclude specific compliance issues. This is a list of the top 10 pages on your site which contain the most failures. To see a rendered view with the problematic area of the page highlighted, click the page where the error originates. To see the problematic source code, click the code where the error originates.